Discussion in 'Introductions, Help and Recommendations' started by Chrotesque, Aug 17, 2018. I've come from DT 770 pro a few years ago and are currently using the DT 990 pro, which in terms of sound I absolutely love. The entire sound profile is just exactly what I want in headphones. Now as with all headphones, my ears typically start hurting after a few hours of using them, as the pads and cups are not big enough for my ears. 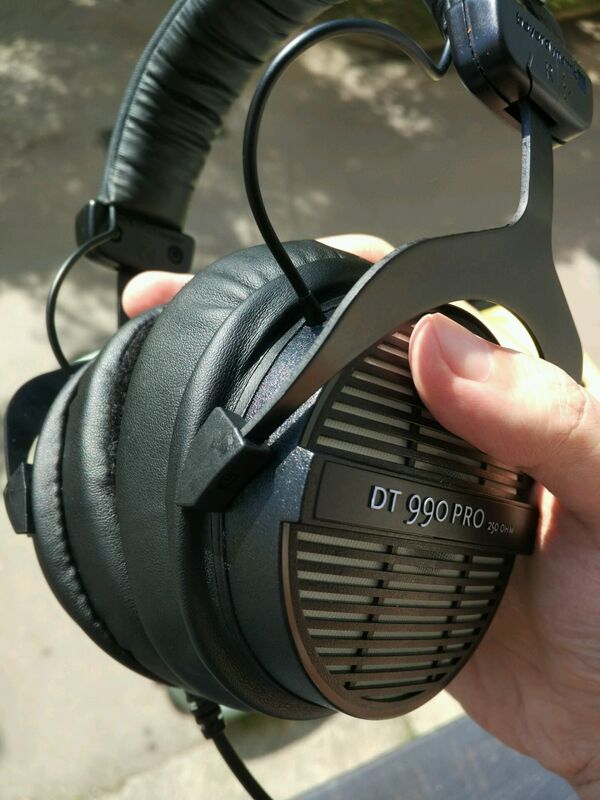 I haven't found anything in particular to modifying the DT 990s but in case somebody knows something I don't please go ahead and let me know. 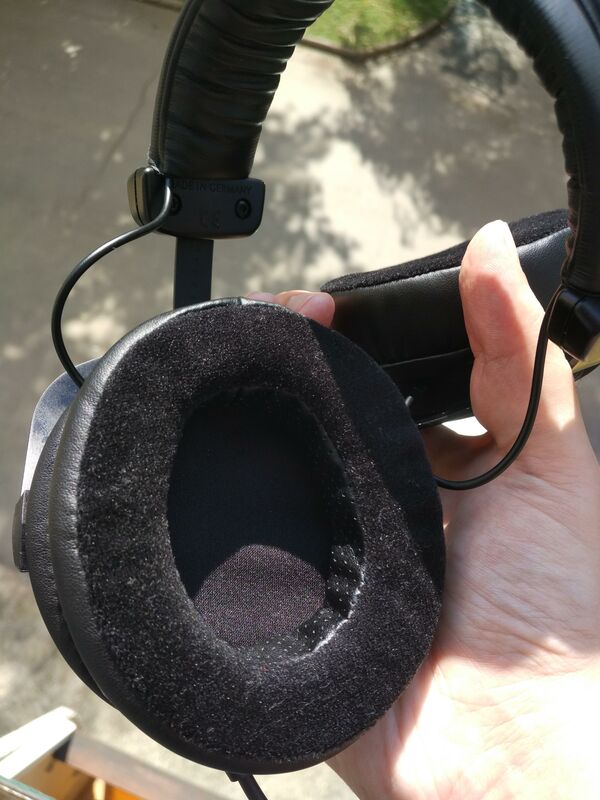 If there are no known diy / purchaseable mods for the DT990 to fix that problem, what headphones would you recommend that have a similar sound profile and much bigger pads & cups? I should probably mention that budget-wise I'd like to stay within the 300 EUR, 350 USD range. Cheers in advance for all the help you can offer! You should try the Sennheiser HD700. They quite high in terms of pricing, are there any other suggestions you could make? If not, what is the sound profile like, is it roughly the same, less bass, more highs? On that note, is there a website where these things are being compared - sort of like a cpu/gpu performance comparison table, while that won't tell me how something sounds - I would at least expect headphones that produce similar ... IDK, waves patterns? to sound similar as well. I've been looking into Dekoni pads for my AKG 240S, they have an 'elite velour' and the 'fenestrated' sheepskin memory foam pads which are 26 mm deep. From what I have read the elite velour anyway roll off a little bass and lift the highs a little on a DT 770..
Sooo, I had some issues as a baby, and long story short my left ear is bigger than the right one, and bigger than average in general. I've been struggling with headphones for many years now, and the only one that was comfortable this far was an Omnitronic SHP-600. However that one had a really metallic, sharp sound that I didn't like, and was also weirdly hissing when no sound was playing... so I ended up replacing it with a DT 990 Pro (that's how I ended up in this topic). I did try this one at the shop and initially it feels quite comfy, the first 1-2 hours are nice, but I'm using this headphone with my PC for all kinds of stuff, and it's often on my head the whole day... or at least it would be, but after the first 1-2 hours my left ear really starts to hurt. 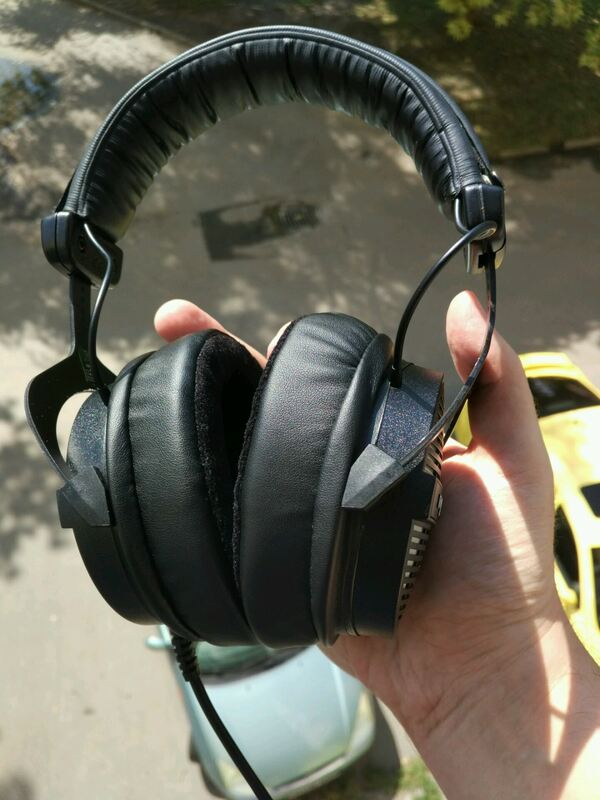 Do you think these would fit the DT 990 Pro? I honestly couldn't tell you if I would like the DT 770 sound with an open design, if that's all there is to the DT 990 I dont even know. But are you saying that all I might need is memory foam pads, and that those might possibly not hurt after hours? So far, I have only used standard foam pads that came with the DT 990 pro. Try this site https://www.innerfidelity.com/headphone-measurements . Pads are going to change the way a headphone sounds though. I don’t have the problem but do understand. If a headphone hurts doesn’t matter how good it sounds. The HD-700 is a fairly roomy headphone not as big as the HD-800 but is one of the comfiest I have next to the 800’s and the most comfortable Koss ESP-950’s and AKG K 872’s but they all are pretty expensive but you could find the 700’s used much cheaper. Do you need a wider cup or deeper? The HM5 pads are not super wide probably not much wider than HiFiMan just looked it up and the HM5 pads are 50 by 70 mm and HiFiMan Focus A pads are 57 mm round opening. The HD-700’s have a smaller opening but your ears fit inside them and the 800’s are 70 by 76 mm and bigger on the inside as well. Looks like the DT 990 pads have a 47 mm inner diameter as per eBay replacement pad offering. ZMF pads are also real nice and are the same size as the HM5’s. You see, that's even something I couldn't answer right away. Once I get home, I'll take accurate note of what's actually the problem and since I have another pair of headphones at home, I might just use those to see/feel the difference. From there I suppose there is no other good way but to venture out, finding a hifi store in order to test headphones myself. It's just a suggestion, the person in the link who bought them seems to think they're very comfortable. The elite velour are 40 bucks. I've read somewhere around reddit that Brainwavz HM5 ear pads can be fitted on the DT 770 series, which as far as I know are using the same ear pads as the DT 990 Pro, therefore I'm guessing they can be fitted on my set as well? In case anyone is intrested, my order just arrived and the Brainwavz HM5 pads can indeed be fitted on the DT 990 Pro. The fitting looks a bit weird as the shape of the cups and the pads is different, but it's not horrible and it stays on quite well. Wearing it, you can't feel any fitting issues, and even though the cups stretch these pads to a more circular shape, they're still more oval than the factory pads. They're a little harder and deeper too. Thanks to this my ears now fit perfectly into my headphone. Bye-bye pain! how long have you been using them now - what's the longest you had the headphones on without pain since the change? pads affect the sound greatly, how would you say did the sound change with those new pads? I hope you'll be reading this, can't wait for a reply. The sound has definitely changed, but I have yet to test it more thoroughly. I bought the hybrid pads, and with these I think the DT 990 Pro got a bit more bass, but has lost out on the highs and maybe a little bit on the mids too. My EQ is still set up for the original pads (boosting bass and cutting off some of the 8K range), and this setup is definitely not for these new hybrid pads, that's for sure. I'll have more time to test it and set it up properly on the weeked, will return with the results.